Energy conservation is an important component of sustainability. The need to conserve energy at home will become even more important in the future, as our homes run on electronic gadgets more than ever before. From security cameras that stream live surveillance data, to our computers or mobile phones, to switching on the microwave oven using our mobile phone in time for us to come home to a hot meal. Perhaps enabling our smart refrigerator to alert us when the level of milk in it drops below a certain amount, we rely on “always on” devices that typically need electrical energy to run them. We have three broad strategic choices to conserve energy, including at home. The most obvious one is to reduce the number of appliances and gadgets. That may not be a practical suggestion; a more realistic option therefore, is to switch off gadgets when they are not in use. Admittedly, having to do this will make life a wee bit more inconvenient. But that may be the lesser evil when compared to the longer-term inconveniences resulting from energy profligacy. The second option is to look at powering our homes using renewable energy sources such as solar energy. A few solar panels placed strategically around the house can generate enough electricity to meet a large portion of our needs when there is enough sunlight. But the obvious question mark relates to availability of energy during cloudy weather and at night. The third option is to maintain our house well so that there are no “leaks” caused by draughts or inefficient appliances. The linkage between energy conservation and house maintenance is not always obvious, although it is very real. Gaps between walls and fixtures like doors or windows allow cold air from the outside to enter the house. In winters, this can result in a higher heating bill because we have to set the thermostat at a higher temperature to compensate for the heat lost. The reverse is true in summers. Warm air from the outside enters the house and forces our air conditioners to work harder. That’s why it is important to periodically check our home for draughts and get them attended to as soon as possible. 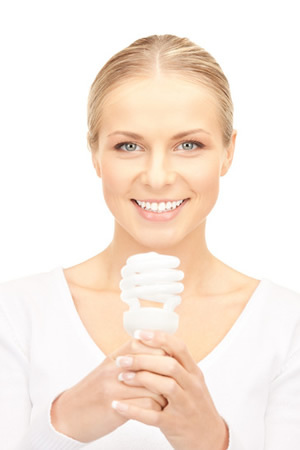 There are many other important, but often neglected avenues to save energy at home. Lighting, for example, is one such area. LED lamps are more efficient than CFLs. Also, not every area of the home needs to be lit at all times. Boilers are another, as most homes use them to heat water. But depending on how old your boiler is, it may be an energy-guzzler. If you are looking to replace your boiler, pay attention to its “SEDBUK” (Seasonal Efficiency of Domestic Boilers in the UK) rating before you buy one. Insulation of lofts is another opportunity to save money on energy bills. If your loft is not fully insulated or the insulation is ragged, sort it out as soon as you can. Experts at the Energy Savings Trust estimate that if everyone in the UK insulated their lofts at home with 270 mm insulation, annual savings would be of the order of £520 million. A heart-warming sum of money, isn’t it?